When you open Repair360 for the first time after downloading and installing the application, you must fill in the registration form. 1. 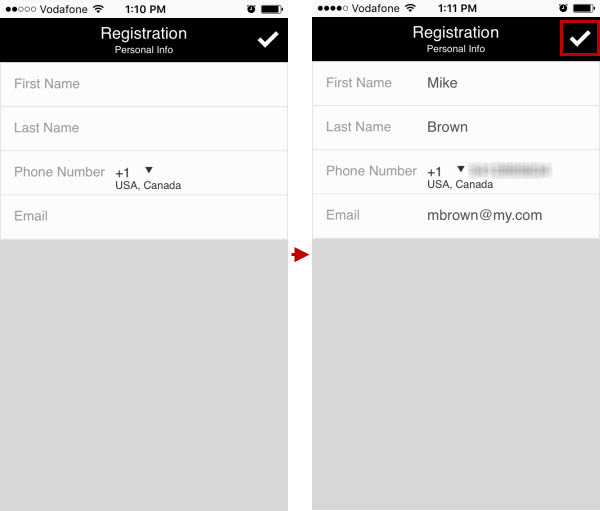 On the Personal Info screen, type your first name, last name, phone number, and email address, and then tap Save. Important! 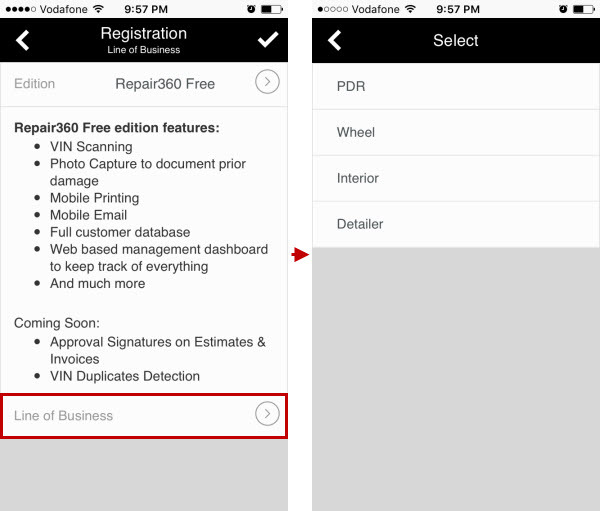 You cannot register if your phone number or email address has been already used for Repair360 registration before. 2. 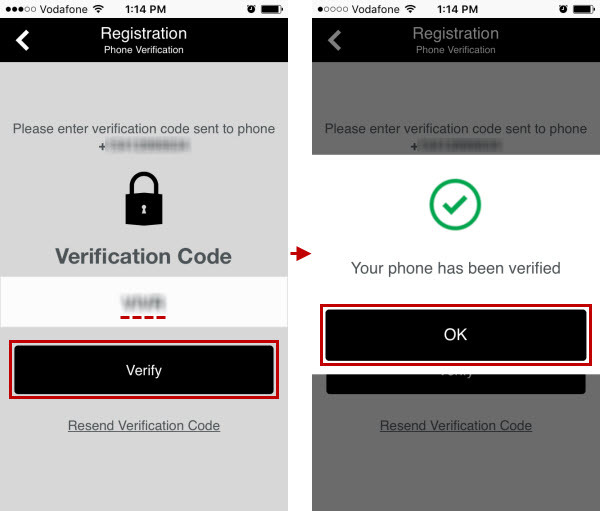 On the Phone Verification screen, type the verification code, which is sent as a message to your phone number, tap Verify, and then tap OK in the confirmation message. 3. On the Personal Info screen, enter your address information, and then tap Save. 4. On the Line of Business screen, tap the Edition box, and then on the Select screen, tap either Repair360 Free or Repair360. 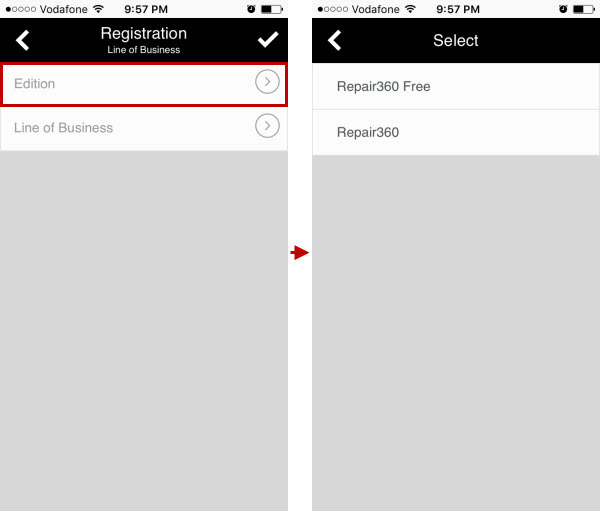 Repair360 Free lets ONE user work with the app on ONE mobile device. You can store a limited number of low resolution pictures for a limited period of time. 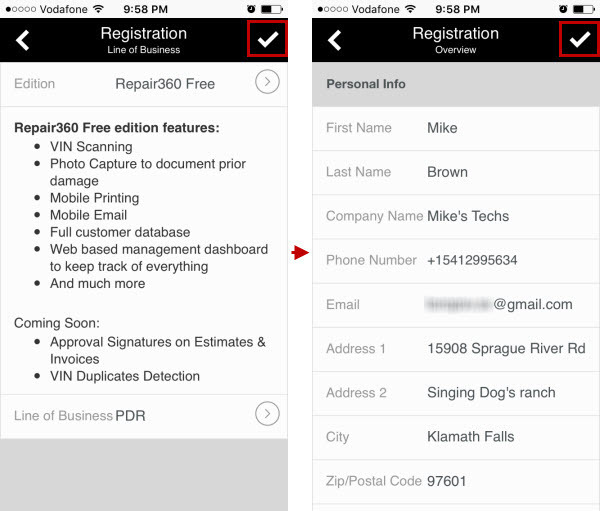 Repair360 lets MULTIPLE users work with the app on MULTIPLE mobile devices. You can store an unlimited number of high resolution pictures for an unlimited period of time. 5. Tap the Line of Business box, and then tap the appropriate business area. 6. 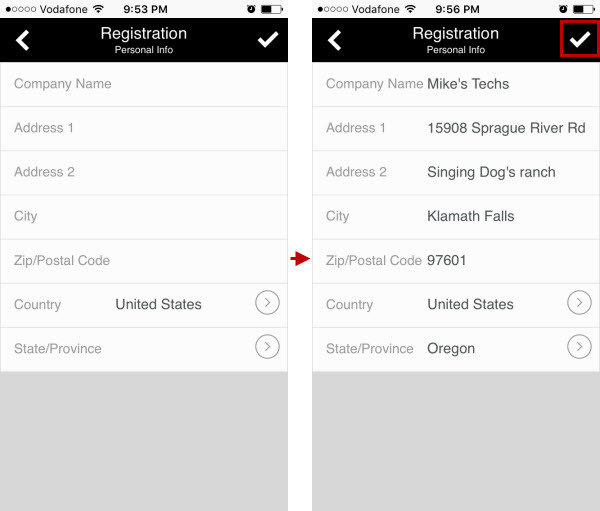 On the Line of Business screen, tap Save, and then on the Overview screen, check if the information is correct and tap Save. Note If you have selected the Repair360, you must enter the appropriate payment details on the Payment Info screen, and then tap Save. 7. In the Legal Info and Price section, tap Terms and Conditions. 8. 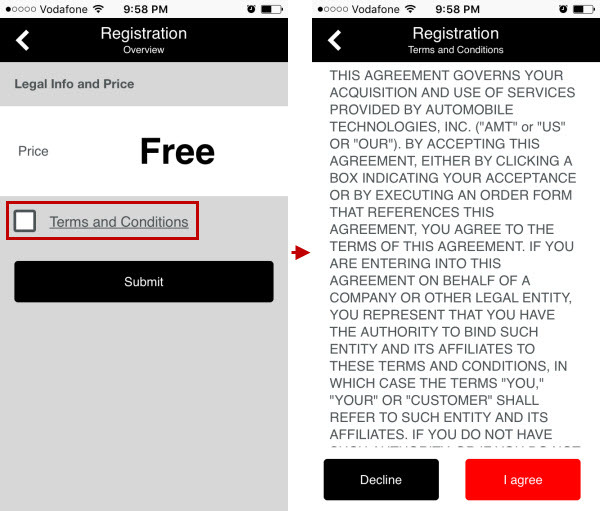 On the Terms and Conditions screen, read the agreement, if you agree, tap I agree, and then on the Overview screen, tap Submit. 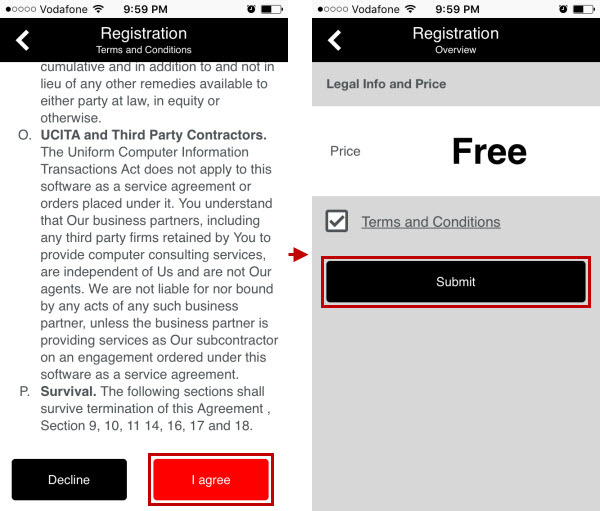 Note If you have selected Repair360, you must agree with Terms and Conditions and Payment Terms, and then tap Pay Now. 9. 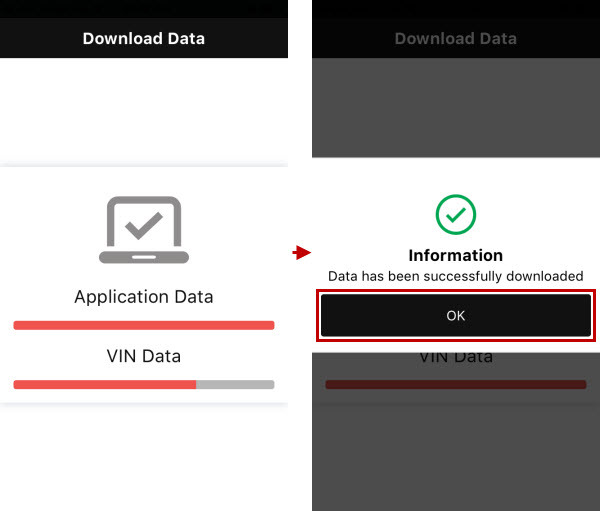 Once Repair360 data has been successfully downloaded, tap OK in the information message.